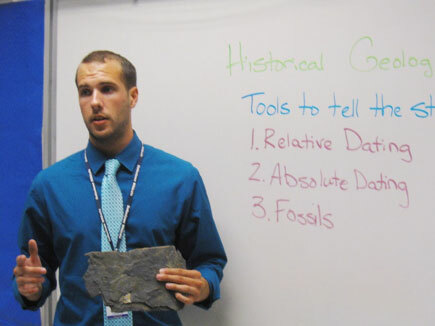 In collaboration with the Dutton e-Education Institute and the World Campus, Penn State's Department of Geosciences offers an instructor-led online Master of Education in Earth Sciences program for secondary science teachers. The Master of Education in Earth Sciences degree program includes 21 required credits (7 courses) and a minimum of 9 elective credits to comprise the 30-credit degree program. The courses that make up the M.Ed. in Earth Sciences program are offered during the 15-week Spring and Fall semesters, as well as the 12-week Summer semester. Please follow the links to the right to learn more about our program! "Take this unique opportunity to collaborate with actual researchers on developing high school curriculum." 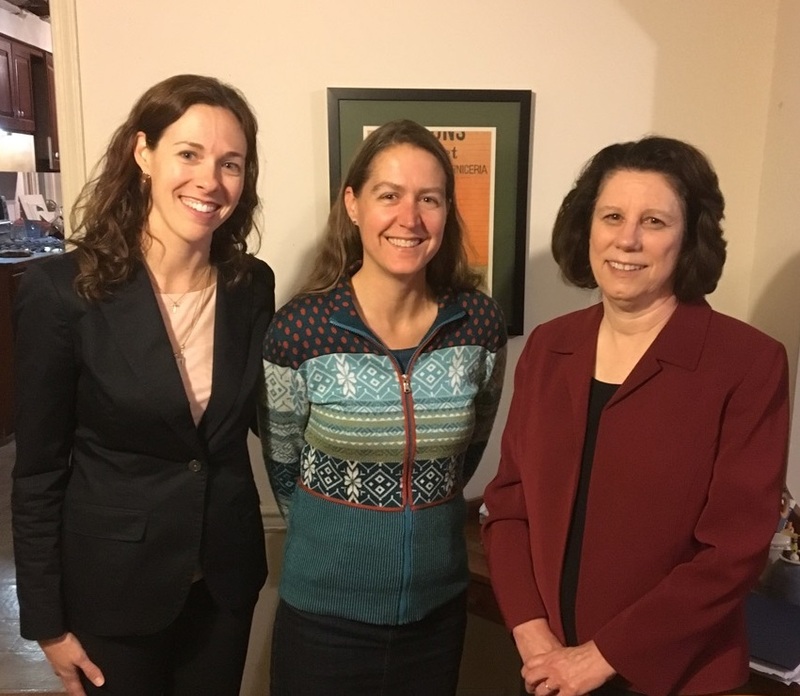 Winter 2016 graduates Cory Wees (left) and Sharon Dykhoff (right) are pictured with Professor Eliza Richardson (Penn State) during their visit to University Park for their graduation ceremony. As part of her M.Ed capstone project, Sharon Dykhoff developed a lesson “The Case of the Muddy Water” that has been published and made available by CUAHSI. 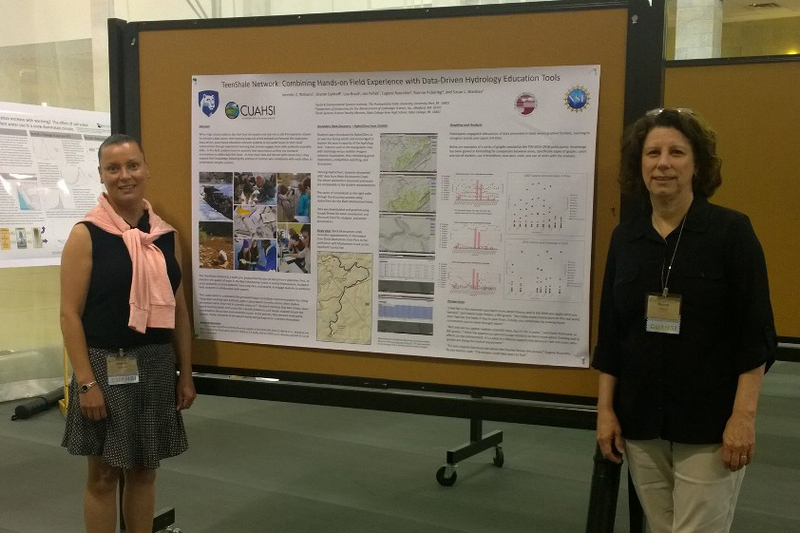 Intended for introductory-level undergraduate students in hydrology, environmental sciences, geology, and earth sciences, the unit uses available data to introduce the potential impacts of natural gas extraction through data analysis. 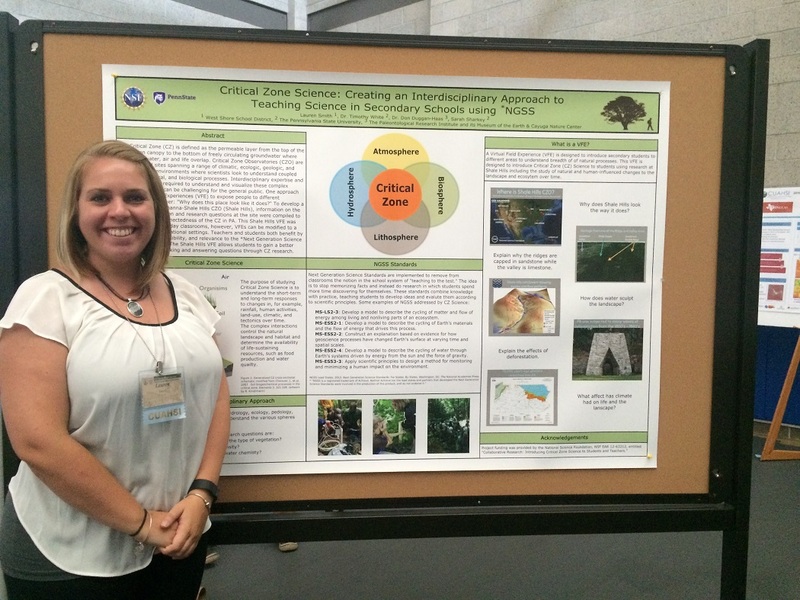 Lauren Smith participated in a NSF Research Experience for Teachers that led her to present her work at the CUASHI Biennial Meeting and PSTA Conference in 2016. 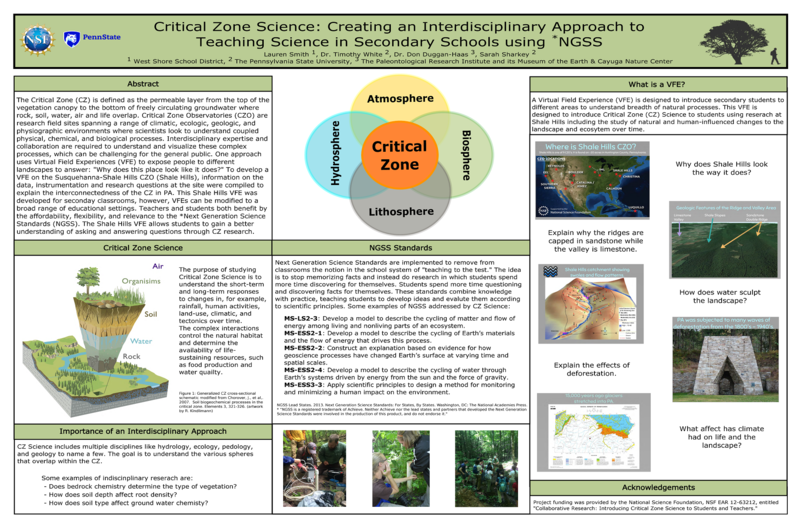 Her poster “Critical Zone Science: Creating an Interdisciplinary Approach to Teaching Science in Secondary Schools using NGSS” describes the use of Virtual Field Experiences to walk students through why a place looks the way it does using the interdisciplinary field of Critical Zone Science. Four students traveled to the American Geophysical Union conference in San Francisco in December 2013 to present their research projects. 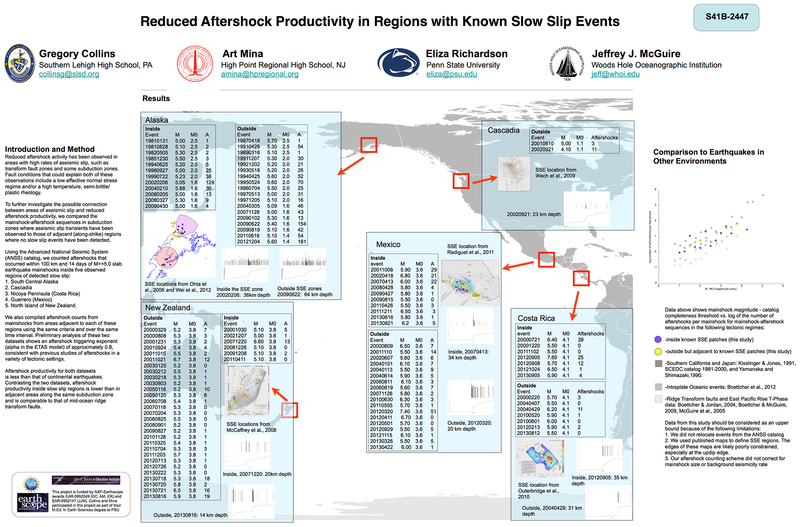 Greg Collins and Art Mina presented a poster in a seismology session in which they discussed their observation that regions where slow slip has been observed in subduction zones also produce fewer than normal aftershock sequences when ordinary earthquakes occur there. 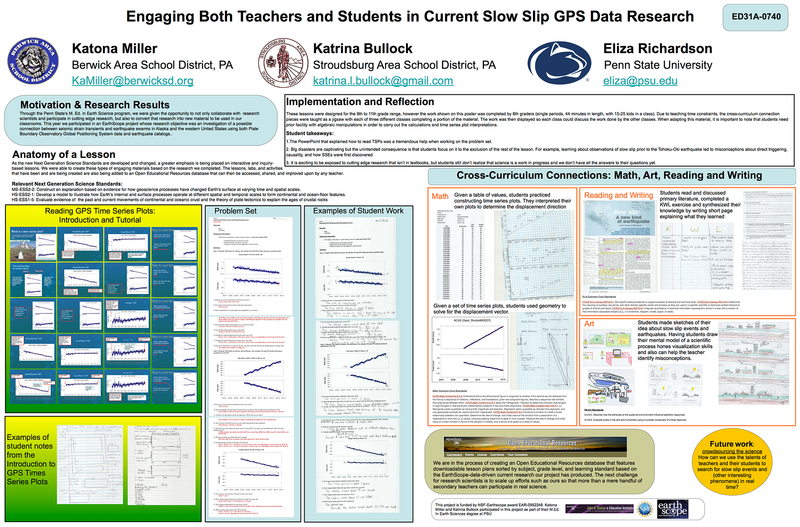 Katona Miller and Katrina Bullock presented a poster in an education session in which they showed off the educational materials they created and taught to their own students based on our group's recent research regarding the nature of slow slip events in subduction zones. ...that the National Science Teachers Association has a position statement regarding online learning? See "The Role of E-Learning in Science Education"